The whole southwest seems to come into view from Muley Point, on the southern edge of Cedar Mesa. 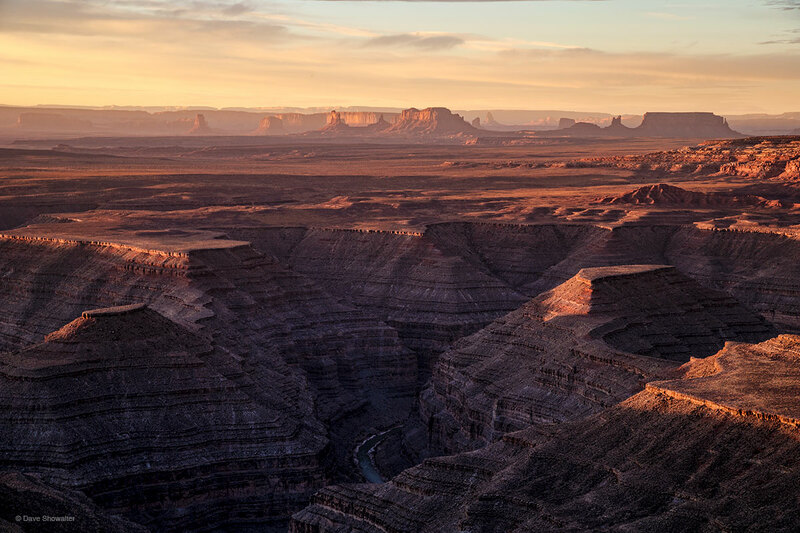 The mighty San Juan River carved meanders that created the goosenecks and the towers and buttes of distant Monument Vally are Cedar Mesa sandstone. Everything is connected. Protect Bears Ears. . Photo © copyright by Dave Showalter.